Chemex - 6 Cup - Old Soul Co. - Old Soul Co.
Chemex is the perfect pour-over brewing method. Coupled with the Kone coffee filter, the Chemex makes a deliciously clear, pure cup of coffee that stays true long after it cools. Begin to bring water to a boil. 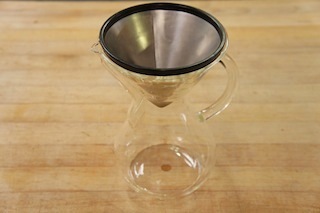 Place the Kone coffee filter above the neck of the Chemex, pour ground coffee onto filter. After water has been brought to a boil rest for 30 seconds. 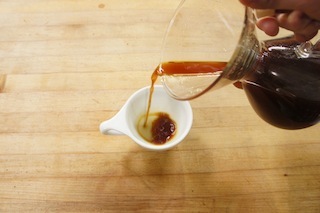 Add 50 grams of water to “bloom.” While pouring, gently stir in the center of the slurry with a spoon. 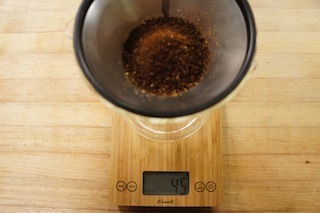 Do this quickly and efficiently to ensure an even saturation of the coffee grounds. 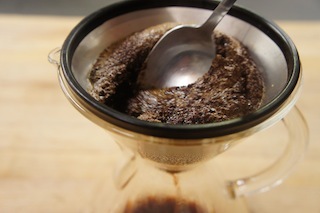 Blooming allows the coffee to de-gas and extract more evenly. Let coffee rest after blooming for 30-45 seconds. Slowly pour in about 165 grams of water. Allow water to pour through almost completely. Pour the rest of the water into the center, trying not to pour water along the sides at all times. Make sure to pour slow enough so that water will not go any higher than the coffee grounds have achieved on the first pour. When the stream of coffee entering the Chemex becomes a drip, your Old Soul coffee is ready. Enjoy.